Calibration of this equipment is required wherever measuring instruments, data loggers and probes are used in quality-related areas. Even the slightest of measurement errors can drastically affect the safety of production processes, or product quality. -20 °C, 0 °C, +60 °C. Please note: the price for this DAkkS calibration refers to one channel per data logger. If you require DAkks calibration at other calibration points, please contact us directly. 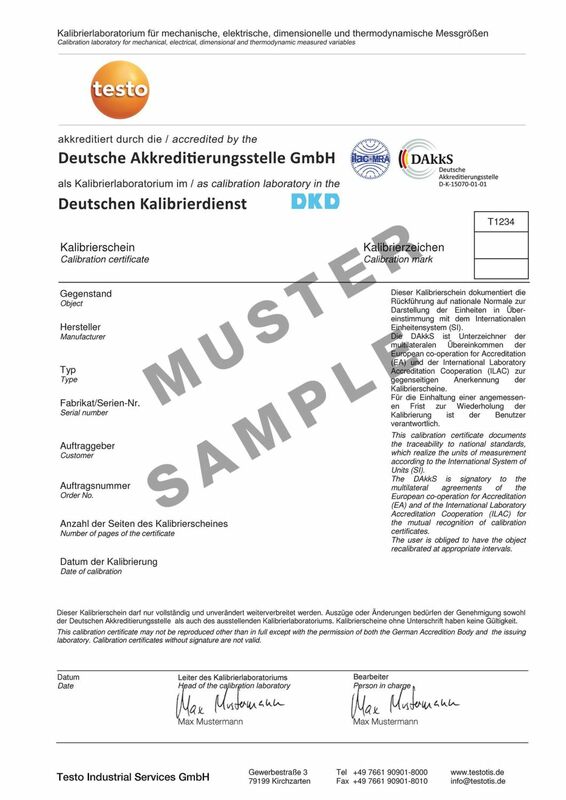 We offer other DAkkS calibration certificates.